The company recently paved the way for more Bluetooth-equipped devices to be recognized as security keys. This would make the Android phones that people carry every day a very convenient physical key to own while also bringing the security of an established link between two proximate devices. Anyone can try out this new authentication method, but it is currently limited to accessing a Google account on the Chrome web browser through a Bluetooth-enabled Chrome OS, Mac, or Windows device. All they need is to make sure that same Google account is logged into a phone with Android version 7.0 Nougat or later. You can sign in to access two-step verification settings at this link. Scroll down to the section labeled "Set up an alternative second step" and then click on the "Add Security Key" button. You will then be able to select an eligible Android phone to act as your Bluetooth-based security key — if you carry multiple phones on the daily, tough luck, you can only set up one Bluetooth key at the moment. The next time you sign into your Google account with Chrome on a computer you don't normally use, Google will prompt you to bring out the phone you chose as your security key. Make sure both devices have Bluetooth turned on, then follow the instructions on the phone's display to authenticate your login. After that, you should be dandy. 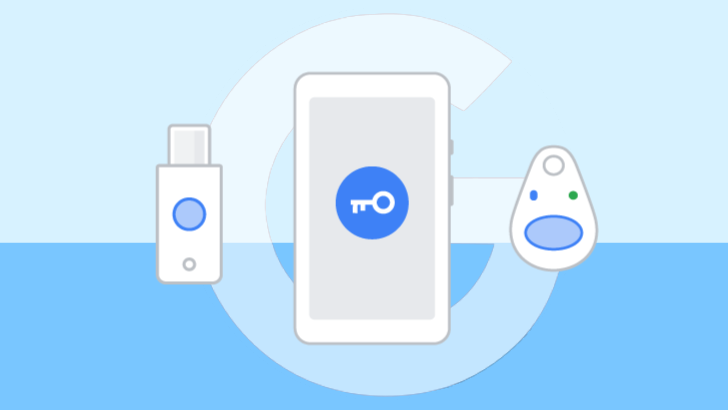 Seeing as this beta program is open to pretty much everyone, we suspect that Google could allow Android-based security keys to access more things like accounts directly tied to hardware — Chromebooks are the obvious example — if there's enough positive feedback.